Doug Courter sent in this one. 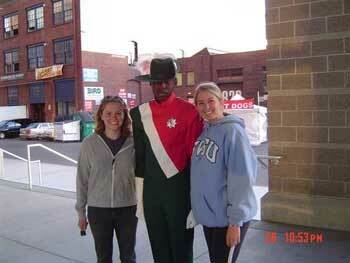 "My friends and I went to see SCV in Seattle this summer and this is Stacy and Dana with a SCV member. We were all super geeked, as I had marched two summers playing contra with Northern Aurora, from Saginaw, Mich!"